HYPED! 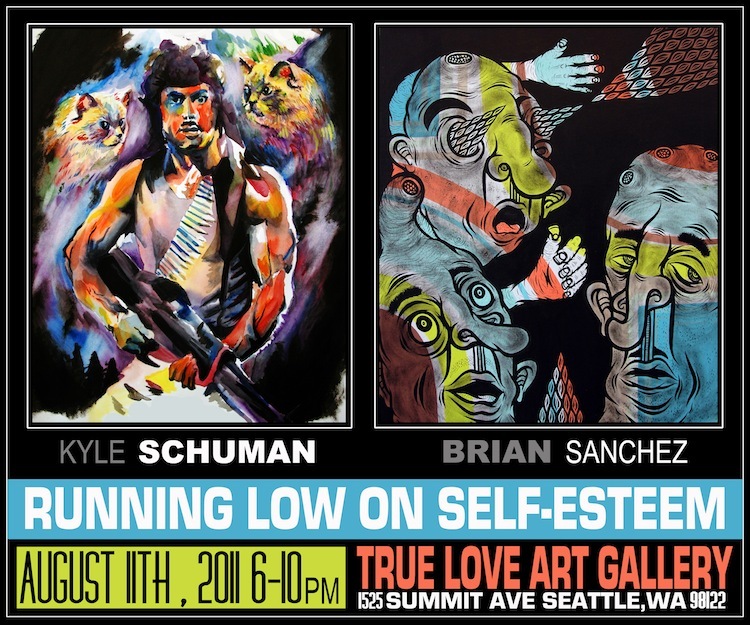 Tonight I’ll be DJ’ing in celebration of Brian Sanchez and Kyle Schuman’s inspiring art. I spent the night at the gallery last night while Brian painted a huge mural to watch over the gallery. It’s nuts. I love his work. If you’re free come by..